Comment: 1350 sqft townhome needs reducting on 12 ducts in one story unit with easy access to attic. 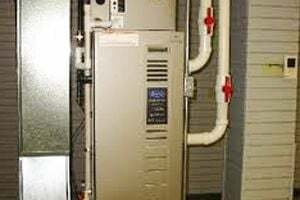 Comment: I have a 15 year old 2.5 ton Goodman package unit that I would like to replace. It still functions OK, but the square footage of the house has been increased to 2100 sq. ft., so the replacement unit needs to be 3.5-4.0 ton. The return duct is 8.5" x 10.0" = 189 sq. inches of surface area. I have been told that a 4.0 ton unit requires a minimum 16" round duct = 201 sq. inches of surface area to avoid short-cycling. I think a 3.5 ton. Sarasota Heating & Furnace Contractors are rated 4.69 out of 5 based on 1,631 reviews of 39 pros. Not Looking for Heating & Furnace Systems Contractors in Sarasota, FL?